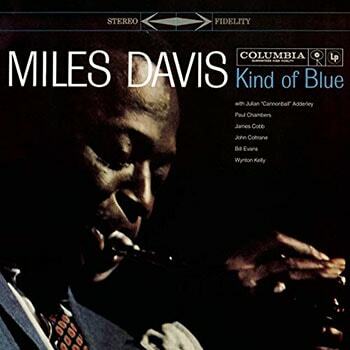 Kind of Blue, Miles Davis’ best-selling album, was released in 1959. The entire album was composed as a series of modal sketches, in which each performer was given a set of modes that defined the parameters of their improvisation. While So What is the most famous tune of the album, All Blues is definitely a runner-up in terms of popularity, and a good addition to your standard repertoire. While So What is built around the Dorian mode, All Blues is built around the Mixolydian mode. If these scales are new to you, check out our lesson on guitar modes. 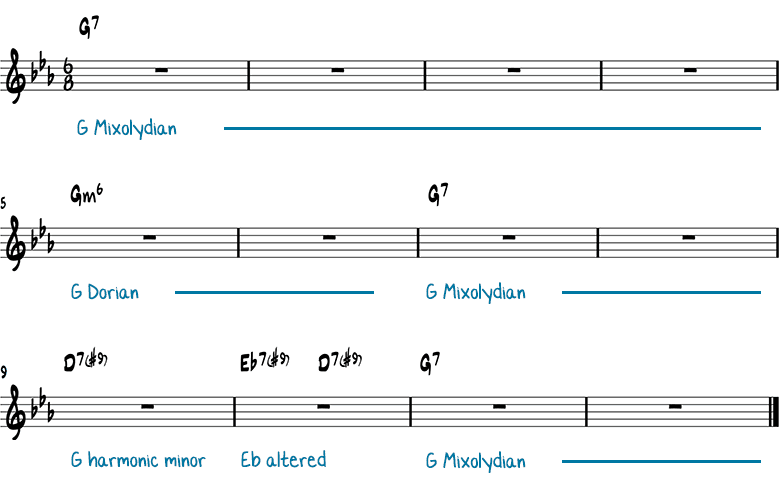 All Blues is a 12-bar blues in 6/8, but not a blues in the strict sense of the word. The tune has a lot of bluesy aspects, but it doesn’t have the usual blues chord progression. In this lesson, you will learn to play the melody of All Blues, the chords, and how to improvise over its form. Here is how I usually play All Blues’ theme. I play most of the melody with single notes, except for a few passages where chords are added. Here’s how you can play the basic accompaniment that’s played by the piano on Miles Davis’ recording of All Blues. The first 4 measures also work as an intro. The basic guitar mode you can use to improvise over All Blues is G Mixolydian. Many people play a C7 in the 5th and 6th measure. This is not entirely correct because the bass keeps playing a G, while the piano player plays variations of C7. The mode to use on that part of All Blues is G Dorian. What Can You Play On The G7? Another option to play over the G7 is the G major pentatonic scale or the G major blues scale. Here’s the root position of the G major blues scale (again, don’t limit yourself to this position, use the entire neck). The blue notes are shown in blue. Use them to slide, hammer or pull into the 9 or 3. Another option to play over G7 is the G minor pentatonic scale or the G minor blues scale. This first example uses the G Mixolydian scale in 2 positions combined with chromatic notes and a Dsus4 arpeggio in the second bar. Because of the bluesy nature of the song, double stops and such also work well (last bar). In modal songs, you’ve got to find ways to make your solos interesting because the harmony doesn’t help you much. One of the things you can do is put some large intervals in your soloing lines. This example uses major and minor sixths in the G Mixolydian scale. Using arpeggios with a lot of tensions can also help to open the sound in modal tunes. In the first bar of this example, I play an Fmaj7 arpeggio over G7. In bar 2, I play a Bm7b5 arpeggio over G7, which produces a 9 sound. What can you play on the Gm6 (C7) in bars 5 and 6? The most obvious scale choice to play over the Gm6 (or C9, depending on how you look at it), is the G Dorian mode (=C Mixolydian mode). An option that works well is to play G Mixolydian on the G7 of bars 1-4 and play the G minor blues scale on C7 in bars 5-6. If you start with the G blues on the G7 you get bored of the sound sooner and the effect is more dramatic if you introduce the G blues scale on the C7. 1. In the first 3 bars, I use a phrase that is transposed. Motivic melodies like this work well on modal tunes and grab the listener’s attention. 2. Although there is no real modulation to C7 in the 5th bar because the bass stays G, it sounds like it is going to C7 because the harmony changes to G minor. Because of this, you can use what you usually play on a blues. In the 4th bar, for example, I use the G altered scale, as I would normally do to go to C7. 3. In the 2 last bars, I use a G Dorian scale. What can you play on the D7#9 and Eb7#9? The D7#9 and Eb7#9 in bars 9 and 10 are the hardest part of All Blues’ chord changes. These chords are normally used on a minor blues, but here they are used in the context of a major blues. The tensions used by Miles Davis make it hard to tell which scale he was thinking of. This is purely a theoretical thing and doesn’t matter so much, but it makes it interesting none the less. Miles Davis uses a #9 and a natural 5th on both chords in his solos. Usually, an altered scale is used on a #9 scale, but an altered scale has a b5 and a #5, but no natural 5. Use the D half-whole diminished scale (aka dominant diminished scale) on D7#9 and the Eb half-whole diminished scale on Eb7#9. On D7, use the G harmonic minor scale with an added b7 (the #9 of D7). You can also alter the chords completely and play the D altered scale on D7#9 and Eb altered scale on Eb7#9. In this example, I play the G harmonic minor scale with added b7 (the second note). This example uses simple dominant 7 arpeggios mixed with chromatic notes. In the next example, I emphasize the #9 (f) and finish with a simple chromatic idea in the last measure. In this last example, I use 2 minor pentatonic scales. And Eb minor pentatonic over Eb7#9. So cool, thanks Dirk, I’m going to thoroughly enjoy this lesson. i would like to play like Larry Carlton, George benson and Gil parris, how can i do? I think the answer to that is the same as the answer to, “How do I get to Carnegie Hall?”. Practise. Extremely thorough lesson, Dirk…Thank You….!! Una formidable lección y gran complemento para los cursos de Jazz Blues que compré recientemente. Are these examples included in the Study Guide? Thanks! 1. We are not all at the same level, I am a beginner (with jazz guitar), most commenters seem to be advanced and most lessons tend to cater to them. 2. Yes, I can play the examples presented in the lessons but only if the metronome is set at an un-musically slow tempo. Yes, I know, practice makes perfect but hey, I work full-time min. 50 hrs a week, I am lucky if I can get 2-3 hrs with my guitar over the weekend. i) G Mixolydian, is essentially C major (all natural notes). ii) In measures 5 & 6, if the bass plays G and the piano plays “variations” of C7 why is it wrong for the guitar to (also) play a …variation of C7 as well? iii) If G Dorian is the correct scale (essentially F major) then why C7 (which includes the Bb) is wrong? I mean a C7/G sounds great, no?! Are we/I over-analyzing all this? I mean must we explain our rationale behind a tasteful line intentionally or even…accidentally played over any given chord progression? What am I missing here? Is this way over my head (e.g. my abilities) or perhaps we should -OK only occasionally- turn the dial a few notches “down” so that the least talented of us can follow along with the more advanced. Jazz always appealed to me until I realized there is an inescapable aura of superiority that once in a while permeates the prevailing culture. Aside from that, I, luckily, have paid my dues, purchased my books and put in the hours I can afford to put in. But for quite some time now I feel that I can’t catch up, thus I do not belong. I am sorry for the venting. No offense, just speaking my mind without reservations or prejudice. You are right that the Gmixolydian mode notes are all natural notes from the C major scale. however, When you solo using the G Mixolydian scale, keep in your mind that the root of the scale is G .
same thing goes for the G dorian scale. Focus on a solo that resolves to the G note and that should give a different sound and feel than just playing notes from F major scale. Jazz is a language – a secret language – but still just another language. so the more you practice and speak the language, the more fluent you will become with jazz. 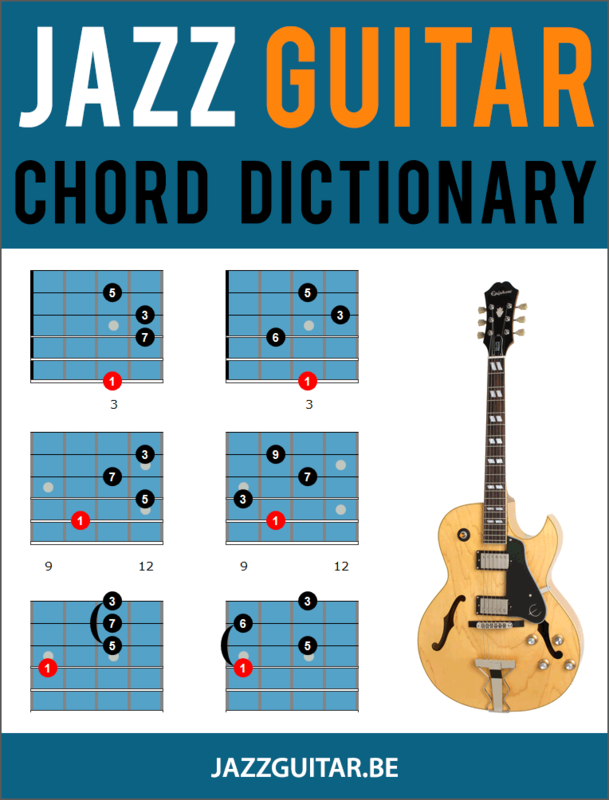 I love jazzguitar online! I have learned little things here and there that have made me a better player! Thank you!